Spring is here and 10best.com is once again looking for the Best Small Towns in the country as part of their latest Reader’s Choice polls. In what has become common, Michigan is well represented with at least one nominee in each of the six categories. Below we’ll look at what small towns are nominated, what they’re nominated for, the case for them winning, and how you can help out with your votes. 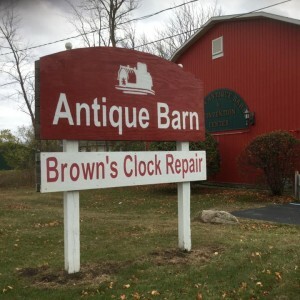 Help out Michigan’s Best Small Towns – this contest runs through Monday, May 6th at noon and you can vote once per day in each category. 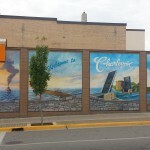 Marquette is once again nominated in the “Best Small Town for Adventure” category after winning the title in 2018. 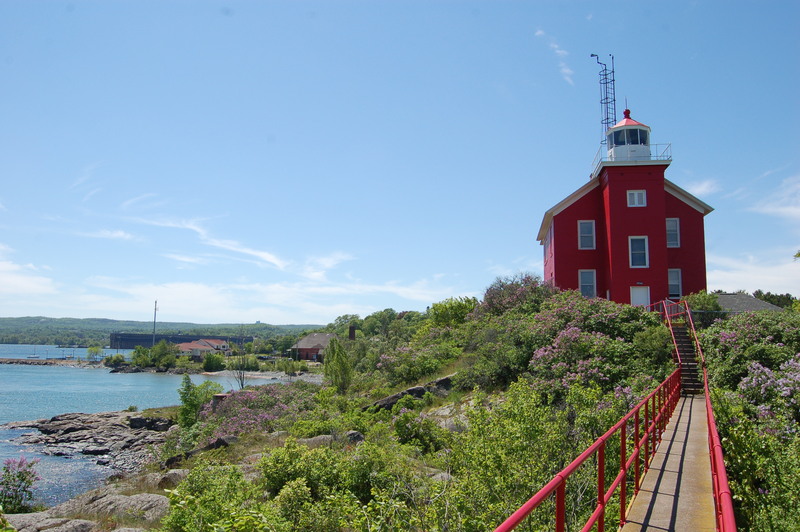 Some of the features mentioned are the Lake Superior shoreline, opportunities for water recreation, beaches like McCarty’s Cove, waterfalls, and mountain biking trails. Marquette has done well in early voting, but will face stiff competition from Lake Geneva, Wisconsin and Buffalo, Wyoming. Cast your votes at https://www.10best.com/awards/travel/best-small-town-for-adventure-2019/marquette-michigan/. Allen will attempt to bring home the title of “Best Small Town for Shopping.” The Antique Capital of Michigan has small shops and dealers lining downtown during warm weather weekends, and many of its stores are located in historic buildings and homes. Allen is currently in the bottom half in vote totals, and they’ll need a big push to catch up to Dahlonega, Georgia and Highlands, North Carolina. 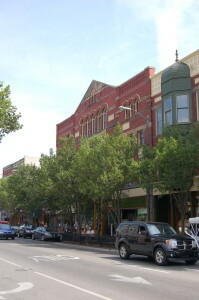 Cast your vote at https://www.10best.com/awards/travel/best-small-town-for-shopping-2019/allen-michigan/. Traverse City is in the running to be name “Best Small Town Cultural Scene.” 10best.com says that the thriving arts community here feels like that of a much bigger city: “The Traverse Symphony Orchestra performs regularly in the City Opera House, while the Interlochen Center for the Arts brings in talent from around the globe. The Dennos Museum Center maintains a permanent collection of art from the Canadian arctic – one of the largest in the world!” Traverse City is holding its own in early voting (#2 as of this writing), cast your vote at https://www.10best.com/awards/travel/best-small-town-cultural-scene-2019/traverse-city-michigan/. Frankenmuth and its legendary chicken dinners have been nominated in the “Best Small Town Food Scene” category. German heritage is on display here everyday, especially when it comes to food. 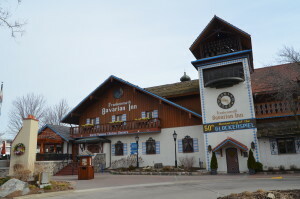 10best.com further notes: “The town boasts Michigan’s oldest brewery and winery (Frankenmuth Brewery and St. Julian Wine Company), as well as a wine bar (Prost Wine Bar & Charcuterie) and a cocktail bar and pizzeria (Tiffany’s Food & Spirits). Willis Sausage Company makes more than 100 varieties, and the Frankenmuth Fudge Kitchen is on hand to satisfy a sweet tooth.” Cast your vote at https://www.10best.com/awards/travel/best-small-town-food-scene/frankenmuth-michigan/. Traverse City has also been nominated in the “Best Small Town Food Scene” category. 10best.com mentions celebrity chef and frequent visitor Mario Batali as well as noting that “Morel mushrooms grow in the area woods, and local chefs pair them with everything from local fish to farm-fresh eggs. Top dining options include Trattoria Stella by James Beard semifinalist Myles Anton, Filling Station Microbrewery and Harvest, a food truck-turned-brick and mortar eatery specializing in fresh, local flavors.As of this writing they’re in 2nd place, ahead of Frankenmuth (8th) and towns in Alabama, Texas, Virginia, Pennsylvania, and Indiana. 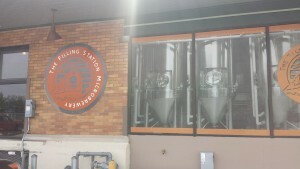 Cast your vote at https://www.10best.com/awards/travel/best-small-town-food-scene/traverse-city-michigan/. 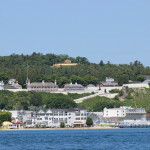 Mackinac Island’s nomination in the “Best Historic Small Town” should not be surprising to Michigan residents who have visited. 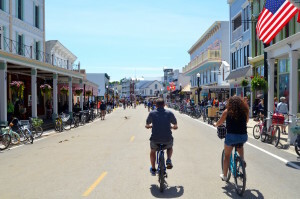 As one of the country’s last car-free destinations, Mackinac Island is a peaceful place that raws large summer crowds that come to see its history and beauty. Home to some of the oldest buildings in Michigan, the island has churches, forts, hotels, stunning vacation homes – some of which date back to the late 1700s. 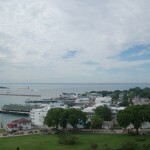 Mackinac Island has jumped out to an early lead in this year’s voting, head to https://www.10best.com/awards/travel/best-historic-small-town/mackinac-island-michigan/ to help their cause! Saugatuck is one of only three Great Lakes cities nominated in the “Best Coastal Small Town” category. 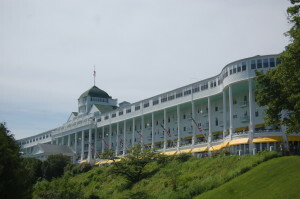 In its entry, 10best.com praise it as a town “known for its B&Bs, art galleries and stunning Lake Michigan shore. 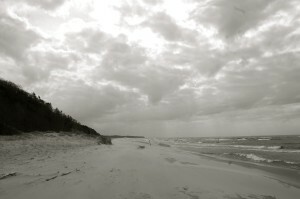 This small town’s charms include a 19th century downtown area brimming with shopping opportunities and chic cafes and easy access to the dunes and beaches of the nearby state parks.” Currently trailing the other Great Lakes nominees (Bayfield, WI and Sandusky, OH) as well as a few others, Saugatuck needs some help! 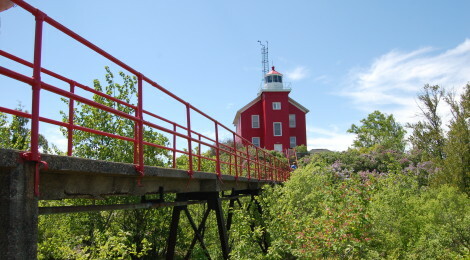 Cast your vote at https://www.10best.com/awards/travel/best-coastal-small-town-2019/saugatuck-michigan/.